The Fairview Inn is located in Jackson, MS. Jackson is the capital and largest city of Mississippi, and is not far from other surrounding cities such as Vicksburg and Natchez. With our great location, the Fairview Inn offers a number of things to do in Jackson, Mississippi. Come and experience the wonderful theatre and music venues, the Jackson Zoo, historical museums, and art galleries. Enjoy all the great things to do in Jackson, MS with our recommended list of attractions below. Have you thought about downloading our free Vacation Guide yet? It’s the one tool you need when you start planning your trip to the Historic Fairview Inn. Let us tell you about all the greatest spots in town, where to take your significant other out to dinner, where to find museums and fun events, and all the other wonderful things to do in Jackson, MS! If the arts are your thing, you’ll be amazed at all the things to do in Jackson. Come and discover all the amazing theatres and music venues in Jackson, MS. Experience Tony Award-winning Broadway Productions at Thalia Mara Hall. You may purchase tickets through Ticketmaster. New Stage Theatre, now in its 42nd season, is Mississippi’s only professional non-profit theatre. The theatre produces five main stage shows September through June and has touring productions year round. The Mississippi Symphony Orchestra, founded in 1944, presents numerous classical and pops concerts in Jackson and throughout the state, with conductor Clifton Beck. The Mississippi Opera Association offers a variety of shows each season with evening and matinee performances. Ballet Mississippi is the premier performing arts organization devoted to the development and production of the ballet dance theatre. Mississippi Chorus provides performances throughout the year, some in conjunction with the Mississippi Orchestra. Puppets Art Theatre features professional puppet theatre combining art, education, and entertainment. Unique art galleries worth a visit are Southern Breeze Gallery, and Mishka’s Art Studio & Gallery. The Mississippi Museum of Art presents multiple exhibitions each year, featuring regional, national, and international art. The Museum also boasts a permanent collection of more than 4,000 works of art. Other Arts programs may be accessed through the Jackson Municipal Arts Gallery or the Mississippi Arts Commission. Other venues of interest include the Civil Rights Driving Tour, Mississippi Literary Trail, and the Mississippi Blues Trail. Learn the history of Jackson, Mississippi as you visit the historical sites and museums in Jackson, MS. Jackson has several historic sites on the National Register of Historic Places. The most notable is the Old Capitol Museum. Recently restored, the Old Capitol serves as the historical headquarters for Mississippi government. You may also tour and sit in the current State Capitol, home of the Mississippi legislature. 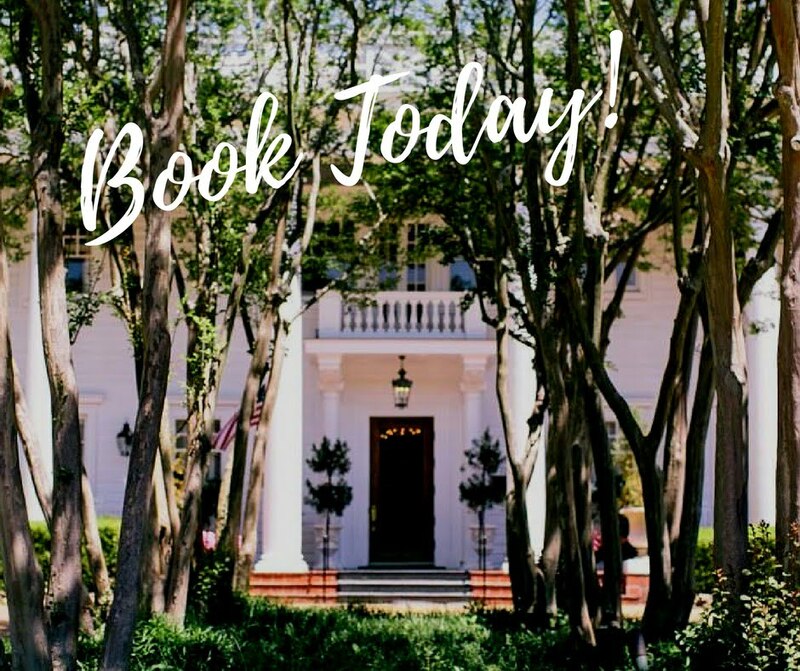 There are plenty of historical museums in Jackson, MS. Visit the Manship House Museum, the home of Civil War Mayor of Jackson, Charles Manship. The Oaks House Museum dates back to 1853, home of then Mayor of Jackson, James Hervey Boyd. Take a tour of the Governor’s Mansion, built in 1842 and still residence of the current Mississippi Governor, Haley Barbour. In the Belhaven neighborhood, just around the corner from the Fairview Inn, is the Eudora Welty Museum. Pulitzer prize-winner and author, Eudora Welty, lived in this residence for over seventy-six years. Learn about all aspects of Mississippi state history at the Museum of Mississippi History. Other museums include the Museum of Natural Science in LeFleur’s Bluff State Park, popular with kids of all ages. Stroll through the Mississippi Agriculture and Forestry Museum and learn about how these two industries have impacted our State-past and present. Also, a popular spot with kids is the Mississippi Children’s Museum, which is the largest and most innovative children’s museum in the entire Southern United States. The Mississippi Museum of Art presents multiple exhibitions each year, featuring regional, national, and international art. The Museum also boasts a permanent collection of more than 4,000 works of art. Cultural museums include the Mississippi Museum of Muslim Cultures, the Smith Robertson Museum and Cultural Center, and the Goldring/Woldenberg Institute of Southern Jewish Life. Always a popular spot for families is the Jackson Zoo with more than 80 acres of wild and exotic wildlife and interactive exhibits. Learn about our planet and beyond at the Russell C. Davis Planetarium. Explore the stories behind Mississippi legends at the Mississippi Sports Hall of Fame or the Mississippi Musicians Hall of Fame. Join other water buffs on the Ross Barnett Reservoir for sailing, fishing or water park activities. The Mississippi Crafts Center features the work of over 400 guilded craftsmen. Throughout the year, the Mississippi State Fairgrounds hosts not only the Mississippi State Fair, but also several equestrian and agricultural events. The Jackson Convention Complex and the Mississippi Trade Mart provide venues for trade shows, auto shows and all types of events throughout the year. The nightlife scene in Mississippi is a collection of distinctive bars and clubs that create a unique environment for all to enjoy. Whether you want to try delicious cocktails, find eclectic spaces, or have an authentic pub experience, you’ll find what you’re looking for in Jackson, MS.
With incredible cocktails in a classy, low-key environment, the Library Lounge in Fairview Inn is the perfect setting to enjoy an evening out with your special someone or a group of friends! Trivia Tuesdays are hosted here every week to engage audiences and create hours of fun. A literary theme and a well-stocked bar set the scene for a memorable night in Jackson. If you are looking for an exciting and trendy place to sip on cocktails, then we highly recommend the Apothecary at Brent’s Drugs. This modern take of the old apothecary shops turned into one of the best bars in town, offering a splendid menu full of interesting and dazzling beverages. Share a pink phosphorescent with your girlfriends, be adventurous with the absentium rosiola, or revisit some classics with the Kinan rum fashioned! Wine lovers will enjoy a night out at CAET (said Kate). This wine bar features an impressive collection of whites and reds from all over the world, and gives you the opportunity to discover them with a delicious gourmet meal. Pair a cabernet with a plate of panko crusted scallops, lamb porterhouse, or even a flank steak and truffle fries. Make sure you leave some room for dessert! If live music and a good beer are what you’re craving, head to Fenian’s Pub in Jackson, MS! This is a warm and welcoming Irish bar that frequently hosts live bands to entertain the community. They offer an outstanding menu of delicious foods and snacks along with a wide selection of beers, wines, and cocktails to keep you going well into the night! Make sure to stay in the best accommodations while you’re enjoying the amazing nightlife scene in Jackson! Fairview Inn offers luxurious rooms and suites, delectable dining, private lounge, game room, Civil War library, and much more, all within a quiet and peaceful environment. Choose from exploring the many attractions of downtown or simply enjoying the comforts of our cozy inn. You’re bound to love what we have to offer in our rustic haven of Mississippi, so don’t hesitate another moment.